What's the history of Reynolds 953? The material is a maraging stainless steel, specially manufactured for Reynolds by Carpenter Specialty Alloys, USA. This material undergoes a double vacuum remelt process to get achieve the necessary properties and purity. It has a very low carbon content, which has an advantage in that machinability, compared that of materials like AerMet 100, is improved, due to low carbide content. Made from cold-rolled strip steel into a tube with a highly homogenous weld, done in an inert atmosphere (specialist aerospace weld mill). The metal used is double vacuum melted by Carpenter to achieve very high purity levels that are typical of aerospace applications. Although a departure from Reynolds’ preference of using seamless materials for high-end tubing, tests and cross sections of the weld area show the seam is “essentially invisible” when examined microscopically. Ultimate tensile strength – 1700 to 2050MPa depending on process and heat-treatment selected (853 airhardening steel UTS 1200-1400 MPa). Density is 7.79 gm/cc. Poissons ratio is 0.30. Yield strength 1500-1900 MPa depending on the combination of cold-working, butting, and ageing temperature. (1500 MPa is approx. twice the yield strength of Cold-worked, Stress relieved 3-2.5 titanium). At 950 F ageing temperature, yield strength should be in the 1650-1730 MPa range based on internal tests. Changing the ageing temperature can increase elongation. Stiffness Modulus (E) is 200 GPa, similar to other steel alloys. If higher stiffness is required when lighter tubes are used, advantage can be taken of the higher yield strength by using slightly oversize but thin wall tubes with a lower overall weight. Can be TIG welded with AWS ER630 wire, brass braze or silver brazed using recommended filler wires. Corrosion resistance is similar to type 410 stainless steels. In normal use, brown staining of the surface does occur due to sweat, salty roads, and so on, if not protected/painted. The staining can be removed with “scotch-brite” or an equivalent, and trials have shown that this is a superficial stain that does not weaken the tubes. 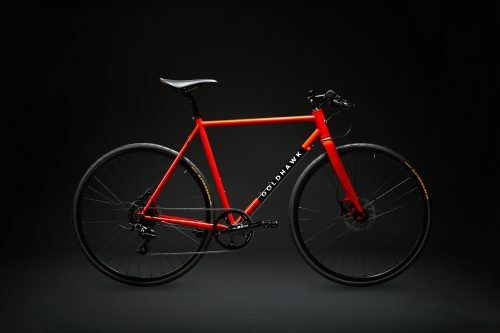 The recommended method of building is the use of pre-aged tubing, so frame builders can fabricate the frames, but assume mitre and cutting could be slow due to tube hardness. Purging whilst welding the frame is highly recommended . This would reduce possible contamination on the inner surface of the weld joints, improving corrosion resistance. Frame alignment should be carried out before ageing if needed but we do not expect jigs to be needed, as this is a relatively low temperature for steel heat-treatment. 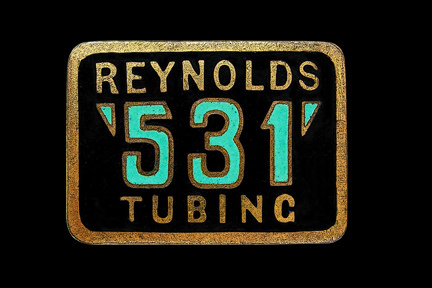 Why is Reynolds 531 tubing no longer available? Reynolds have produced butted 531 tubes since 1935. This material was ideal for brazed frames for bicycles and motorcycles, as well as aviation and motor-sport. In the last few years Reynolds have developed a number of new materials that are suitable for brazing and TIG welding. As a result many of our customers saw the advantage of the new materials and moved away from 531. The most popular replacement for 531 is the air hardening steel 631, which is 10% stronger and has a larger selection of butted frame tubes to select from. Since 2008, our 110th year, Reynolds offers a limited edition set of 531 main triangle tubes for lugged framesets. What's the best material for a tubular space-frame? Basically, it depends on how you intend to use the structure and key properties you require. This includes strength, stiffness, durability, temperature range, impact/dent resistance and not least, cost of the material and fabrication. Reynolds offer a wide range of materials in aluminium, magnesium, steel and titanium – but each has advantages and disadvantages including availability, how it can be manipulated, and the cost of the raw material. We show strength-to-weight ratios of the various metals in our graphs within the Materials Overview, so that you can see how the density of one particular metal is matched by lower strength or stiffness. Currently, the material with the highest strength-to-weight ratio is Reynolds 953 maraging stainless steel. What's special about air-hardening steels? 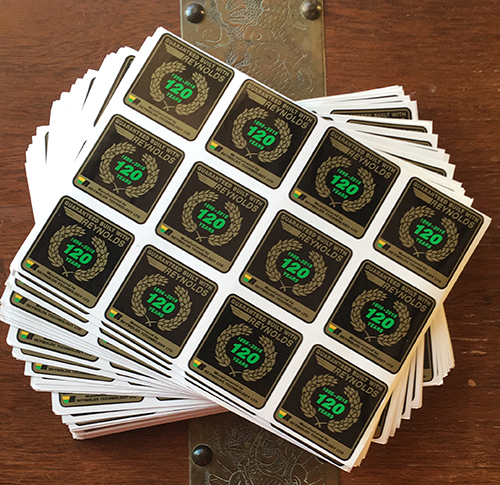 The chemistry of air-hardening steels like our 853 and 631 means that not only are they stronger than typical chrome-alloy 4130 type steels, but after TIG or MIG welding, the heat-affected zone (HAZ) will be significantly stronger due to the grain structure formed on cooling in air. The positive result from this is a higher fatigue life for the joint – usually 30-60% better than an equivalent Cr-Mo joint, so less material can be used to achieve a particular target fatigue performance.